We really enjoy custom products as the opportunities are endless. Whether you want printed bags, cartons, pens, plastic or unusual items like kebab sticks, let us know because we thrive on the challenge. We specialise in Industrial Abrasives covering areas such as Woodworking, Engineering, Aeronautical and Floor Sanding. We carry a full range of products, as well as custom manufactured abrasives. STICK WITH US whatever your application. – we have you covered. Nelson Packaging are specialists for sourcing and supplying your business’s packaging needs. From large commercial operations to retail and small business, Nelson Packaging can assist you. 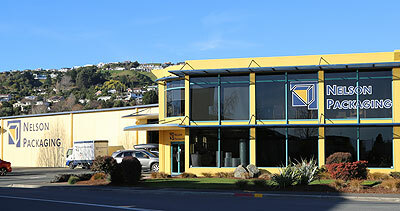 We have built up strong relationships with our loyal customer base in the Nelson region and look forward to assisting you, so contact us today. Even if you have unique and particularly demanding requirements, put us to the test. Nelson Packaging is here to help and love nothing more than a challenge. We stock a HUGE range of packaging supplies from boxes and bubble wrap, to pallet wrap and strapping, to chemicals and MORE! Save time and energy, we also sell tea, cups, coffee, sugar, stirrers, toilet paper, soaps, hand towels, gift bags and MORE! We are a family business and pride ourselves on our fantastic team. We will always go the extra mile for our customers. Our buying power means we are able to offer extremely competitive prices on our extensive stock selection.